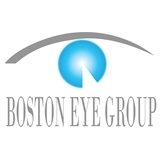 Boston Eye Group (Brookline) - Book Appointment Online! Addressed concerns expeditiously. Good manner. Felt like I was listened to. Great front desk staff as well. The optician and doctor were both knowledgeable and friendly.